This window seat is inspired by 18th Century designs, reflecting the simplicity which characterised the finest furniture designs of the period. 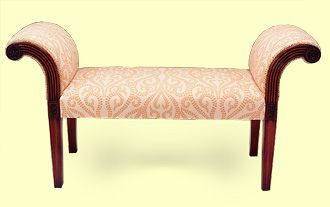 It is hand made from mahogany with finely carved flutes and patarae details. C.O.M.